Why should pregnant women take BrainStrong? How much DHA should I consume daily as a pregnant woman? What happens if my intake of life'sDHA exceeds the recommended amount? The International Society for the Study of Fatty Acids and Lipids recommends an intake of at least 300mg/day of DHA for pregnant and nursing women. Taking more than the recommended amount should not be harmful. Numerous studies on safety and efficacy of DHA, specifically at doses ranging from 26-5900 mg, have shown no adverse effects. When should I take BrainStrong Prenatal? 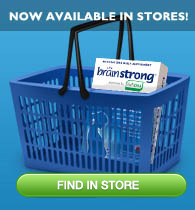 BrainStrong Prenatal may be used for pre-pregnancy††, pregnancy and while breast-feeding. †† If you are actively seeking to become pregnant, taking BrainStrong Prenatal prior to pregnancy helps to start nourishing your unborn baby's brain development from the earliest stage possible. How does BrainStrong Prenatal compare to other over-the-counter DHA supplements? BrainStrong Prenatal is the only complete over-the-counter prenatal multivitamin with 350 mg of the omega-3 fatty acid DHA. It also contains 100% of the recommended daily dose of folic acid for fetal health and development. It offers the highest level of Folic Acid and DHA available without prescription. Is there a best time to take BrainStrong Prenatal? There is no specific time of day when it is best to take BrainStrong Prenatal. It does not need to be taken with food.